This article first appeared in Personal Wealth, The Edge Malaysia Weekly, on March 18, 2019 – March 24, 2019. The word “halal”, or what is deemed permissible in Islam, used to be applied to mainly food and drink. But today, it encompasses a much broader area of products and services, including healthcare, travel and tourism, financial services, pharmaceuticals and cosmetics. The halal economy is huge and is set to grow even further. At the World Halal Conference 2018, Sultan Nazrin Muizzuddin Shah of Perak said the global halal industry was projected to grow to more than US$6.7 trillion by 2020. This is in tandem with the anticipated increase in the number of Muslims to nearly three billion by 2060 from 1.8 billion in 2015, according to Pew Research Center. Muslims are expected to make up more than 31% of the world’s population by 2060, it adds. 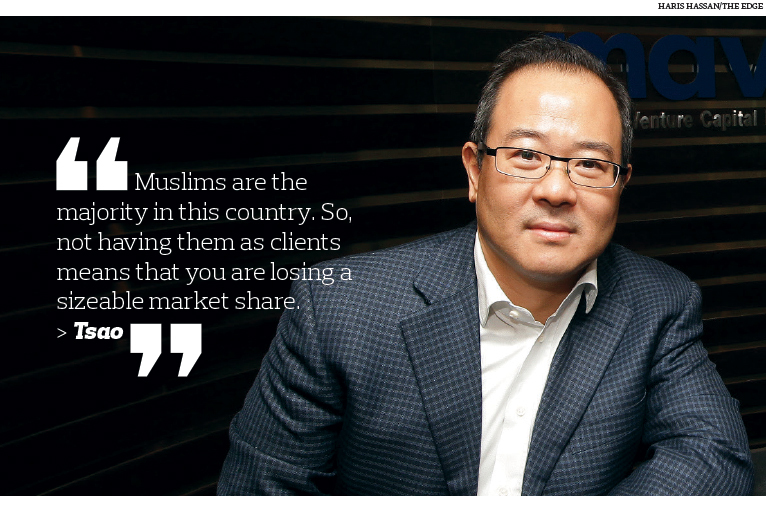 Despite the current size of Muslim consumer market, investments in companies that cater for this population — especially smaller, high-growth ones — are scarce, says Thomas Tsao, co-founder and managing partner of China-based venture capital firm Gobi Partners. The problem, he observes, is that the market is fragmented and investors would rather put their money elsewhere. “Big Muslim economies do not lack capital. However, instead of investing in their own communities, they would rather do so in some random Silicon Valley-based company. There are so many deals happening in the Muslim [start-up ecosystem] that it is ridiculous to think that institutional investors could not find any good deals here,” says Tsao. He first saw this gap in 2015, when Gobi decided to set up an office in Kuala Lumpur to focus on investments in Asean. Having been based in Shanghai for 13 years, Tsao thought that he understood Asia and knew which types of companies would succeed in the region. However, he found out later that he did not know this region very well after all, especially when assessing potential companies in which to invest. “One of the first few companies that I met here sells wine online. This got me really excited because I know there is a company called YesMyWine in China that had done very well and even became the country’s biggest online wine retailer. But then, people told me that it would not work here [in Kuala Lumpur] because Muslims do not drink,” says Tsao. “When I thought about it, I realised that a lot of businesses would not work [in this part of the world]. For example, pet-related companies because Muslims generally do not keep dogs as pets. After doing some research, he came up with TaqwaTech, an investment vertical that targets innovative start-ups offering products and services that cater for the Muslim population. The term does not necessarily mean halal or shariah-compliant, but it does mean that purpose-driven innovation can be applied to Muslim economies, says Tsao. Under this vertical, Gobi has made investments in several companies that cater for Muslim consumers such as online travel agencies (OTAs) Tripfez and Sastaticket.pk, food technology companies Offpeak and Qraved and charity platform SimplyGiving. While Tsao has not exited any of the companies yet, his initiative has received some validation. Last November, it was announced that Tripfez had merged with Middle Eastern OTA Holidayme to become one of the largest Muslim-friendly OTAs in the world. The newly merged entity is building a next-generation Umrah solution to cater for potentially 30 million Muslim pilgrims by 2030. It plans to roll out the solution in Malaysia and Indonesia when it is ready. Gobi has more than 100 investee companies in its portfolio. Tsao is actively looking for more companies to invest in and is in discussions with several parties. The firm is close to announcing some new deals in other Muslim-majority countries. “My job is to see trends. That is what early-stage venture capitalists are — the antennae of society. I believe that the opportunity for TaqwaTech investments is bigger than I can imagine. Technology breaks down borders. With tech, companies are able to serve a larger audience, not necessarily just Muslims,” says Tsao. Gobi is not the only player to have noticed this gap. In 2017, Bintang Capital Partners — the private equity (PE) arm of Affin Hwang Asset Management Bhd — and Singapore-based CMIA Capital Partners Pte Ltd jointly acquired a controlling stake in Bitsmedia, the company behind the world’s most popular lifestyle application for Muslims, Muslim Pro. The transaction marked the world’s first buyout of such a company by a PE firm. Akmal Hassan, Managing Director of AIIMAN Asset Management Sdn Bhd, says when Bintang saw the investment opportunity a few years ago, other a few investors were not that keen on Bitsmedia’s business model. Bintang was keen to invest in the business so that the company could be taken to the next level. “The app is capable of a lot of things beyond showing users prayer times and the kiblat (direction of Mecca). The app has been downloaded more than 50 million times. There are 11 million active monthly users and more than 2.5 million active daily users,” says Akmal. He thinks that the uptake of such investments will be slow but steady. For these investments to grow exponentially, there needs to be a more supportive ecosystem as there are limitations currently, he adds. Typically, investors do not go out of their way to look for halal companies or those that cater exclusively for the Muslim population. What they do instead is look for shariah-compliant investments. This is usually done via negative screening. Even then, there are few shariah-compliant venture capital or PE players in the region. One of them is Malaysia-based Cope Private Equity. Its managing director Datuk Azam Azman says the lack of shariah-compliant PE fund managers is due to supply and demand. “From the supply side, for a PE fund manager to be considered investable by institutional investors, the team would have to offer a coherent investment strategy, proven track record and a strong and experienced team. Given the young PE industry in the region, one would have difficulty finding PE fund managers with these criteria. And even less so, those who only do shariah-compliant investments. Cope invests in several shariah-compliant companies, including Kinos Food Industries Sdn Bhd, a halal-certified snack and confectionery manufacturer. As the halal industry in Malaysia is more concentrated in the food and beverage sector, there are investment gaps in other sectors, says Azam. He adds that the global halal industry is relatively young. In Malaysia, the industry started in 1974 with the issuance of the first halal certificates. “[However], we would like to emphasise that halal should not be a Malaysia-centric investment spectrum. Rather, it must be viewed from a global perspective as consumers transcend national boundaries and ethnicities,” says Azman. While halal businesses are a natural constituent of Cope’s portfolio and the firm is looking forward to making more investments in leading halal companies, it will not invest in a business just because it is halal, says Azman. The products and services offered by the business have to be high quality, cost-competitive and meet customer requirements, he adds. Richard Foyston, chairman of Navis Capital Group, concurs. He thinks good shariah-compliant and non-shariah-compliant companies bear the same qualities. Apart from good fundamentals, they need to have good market focus, brand awareness and distribution, he says. “I do think there is growing interest and awareness of the halal market, but I do not think easy money can be made there. The fundamental basis of a halal business is more or less the same as that of regular businesses,” he adds. Founded in 1988, Navis runs one of Southeast Asia’s largest PE funds. It also manages the Al-Bahhar fund, the shariah-compliant equivalent of its public equity fund Navigator. “We have a lot of experience with the shariah-compliant segments of the market and we make sure that the companies in our shariah fund are shariah-compliant and will stay that way. While we do not go looking for only halal businesses, we do have to make them shariah-compliant at times. For example, when we invested in a restaurant business in Australia, where the halal market is relatively small, we were able to change the menu so that it became shariah-compliant,” says Foyston.